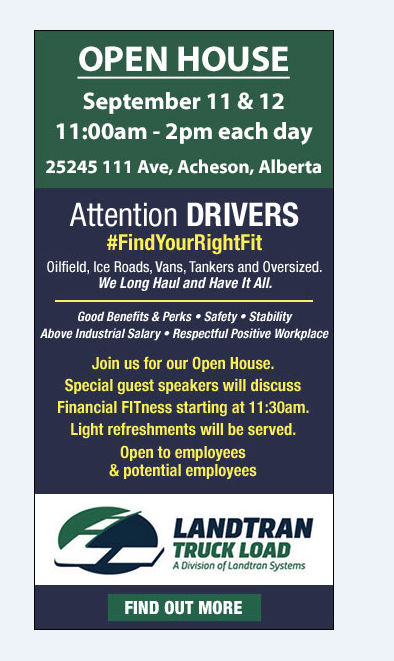 Landtran Truckload is hosting an Open House September 11 and 12, 2018 at their Acheson, AB office. Join us for our Open House on either day from 11am to 2pm. Special guest speakers will discuss Financial FITness starting at 11:30am. Light refreshments will be served. Open to employees and potential employees. Our address is 25245 111Ave Acheson, AB.